B U B B L E G A R M: Illamasqua 'Speckle' + RCM Nail Update! Illamasqua 'Speckle' + RCM Nail Update! 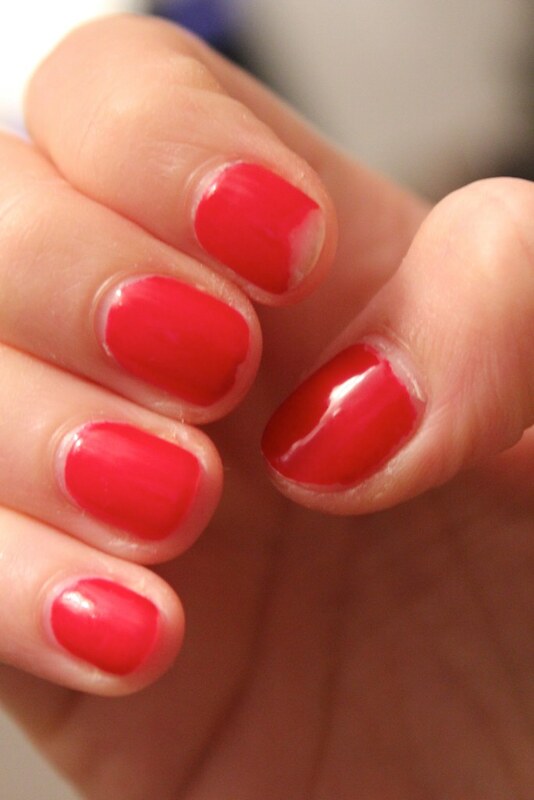 RED CARPET GEL MANICURE UPDATE! My gel manicure lasted 5 days. Not good. I noticed a tiny chip on my right index finger the very next day but assumed that I perhaps didn't insert my finger into the lamp properly and carried on enjoying my manicure. However, the chip grew and a little bit of it peeled off. Today on day 5 of the manicure I noticed raising creating an uneven surface on my left hand, my nails kept hooking onto things and this made me very irritated. Out of curiosity I tried to peel it off and guess what it came off!! I wasn't able to remove the entire manicure by peeling it off so had to soak it in an acetone remover wrapped with foil which did the job.Ermmmm not what you expect from a 2-3 week gel manicure! In all fairness I do plenty of cleaning, washing dishes & washing my hands a million times a day so it didn't really stand a chance? I haven't had any other type of gel manicure so can't compare. I can't even blame myself for application as a professional did it for me at the QVC event, she did 3 thin coats so I don't know what to complain about. Just that this gel manicure isn't for me!! I have however spoken to Nicola and she says the RCM lasts 2 weeks on her with no problems, so maybe it's just me?! Furthermore, I got bored of the colour too quickly. Enough said. 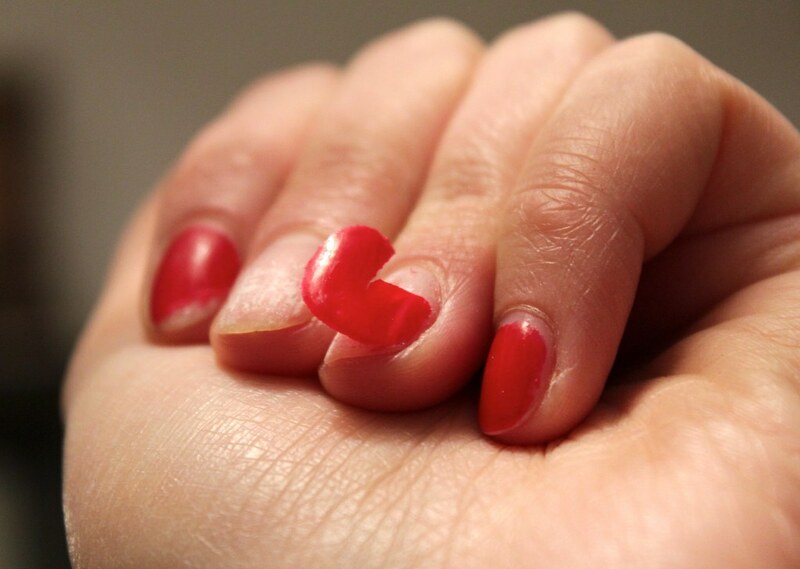 What's your thoughts on 'Speckle' and gel nail polish? i don't know about gel polishes, i think i would bore to easily. but speckle looks awesome!! Omg I love the speckled polish! It makes me so excited for spring and Easter. If only that nail polish could stave off my unbearable cravings for copious amounts of mini eggs. 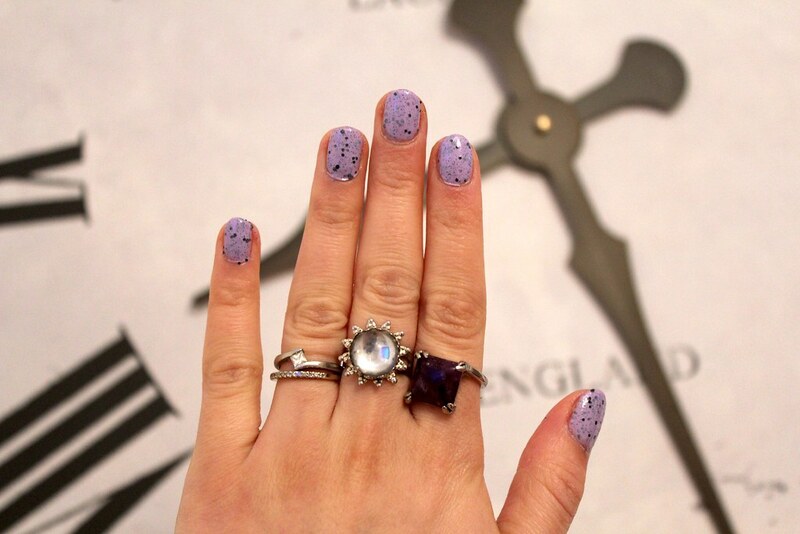 Love this trend of speckle nails. And the pastel colour is sooo spring. Makes me want winter to end already. Winters in Canada are waaay too long. Boo on the gel manicure - I have actual POLISHES that last longer than that! I love the new Illamssqua polishes! I really do not like the trend of speckled polish,i like my nails to be `clean`from designs-i am having gel polish by Shellac for 10 days now and i am happy with the results. Love the speckle nail polish! Can't believe how bad the gel nails looked after a while. I love how gel nails look, but hate the damage it can do to your nails. The speckle varnish is lovely - really nice for spring. That is poor that your gel colour chipped so quick - I don't know the RCM brand but am inclined to blame the brand or how it was applied. I go to a great salon where they use either Shellac or Artistic and it lasts 3 weeks on me - its amazing. Although I do take care and use cuticle oil a lot and always wear marigold gloves when washing up.